London and North Eastern Railway locomotive numbered 4468 Mallard is a Class A4 4-6-2 Pacific steam locomotive built at Doncaster Works, England in 1938. It is historically significant as the holder of the world speed record for steam locomotives at 126 mph (203 km/h). 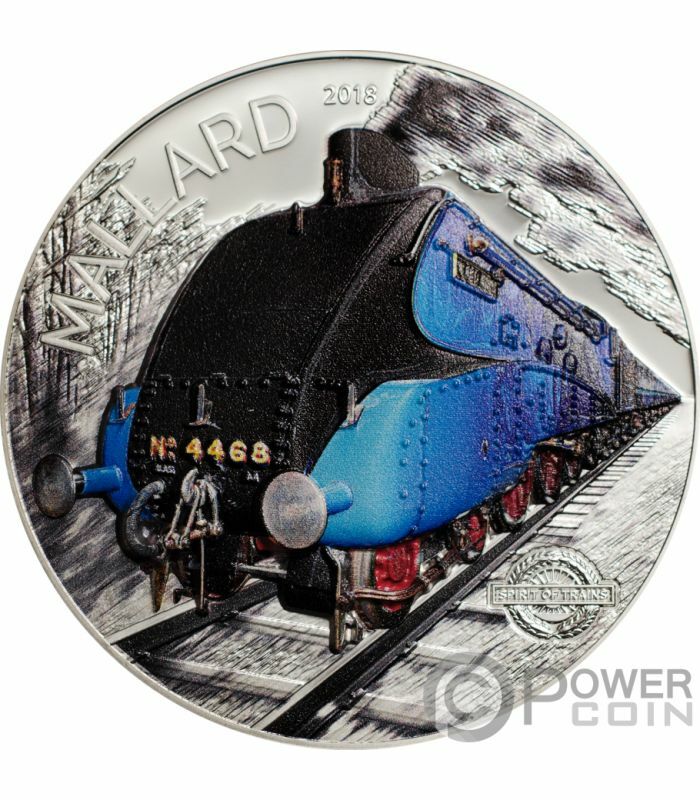 The A4 class was designed by Sir Nigel Gresley to power high-speed streamlined trains. The wind-tunnel-tested, aerodynamic body and high power allowed the class to reach speeds of over 100 miles per hour (160 km/h), although in everyday service it rarely attained this speed. While in British Railways days regular steam-hauled rail services in the UK were officially limited to a 90 mph 'line speed', pre-war, the A4s had to run significantly above 90 mph just to keep schedule on trains such as the Silver Jubilee and The Coronation, with the engines reaching 100 mph on many occasions. Mallard covered almost one and a half million miles (2.4 million km) before it was retired in 1963. The locomotive is 70 ft (21 m) long and weighs 165 tons, including the tender. It is painted LNER garter blue with red wheels and steel rims. Mallard is now part of the National Collection at the United Kingdom's National Railway Museum in York. 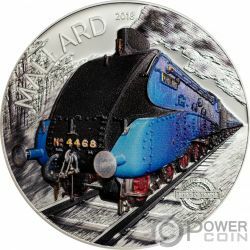 The reverse of the coin depicts the wonderful and coloured image of the Mallard locomotive. On top of the reverse, the inscriptions: “MALLARD” – the name of the coin and “2018” – the year of issue. On the bottom, the inscriptions: “SPIRIT OF TRAINS” – the name of the series. 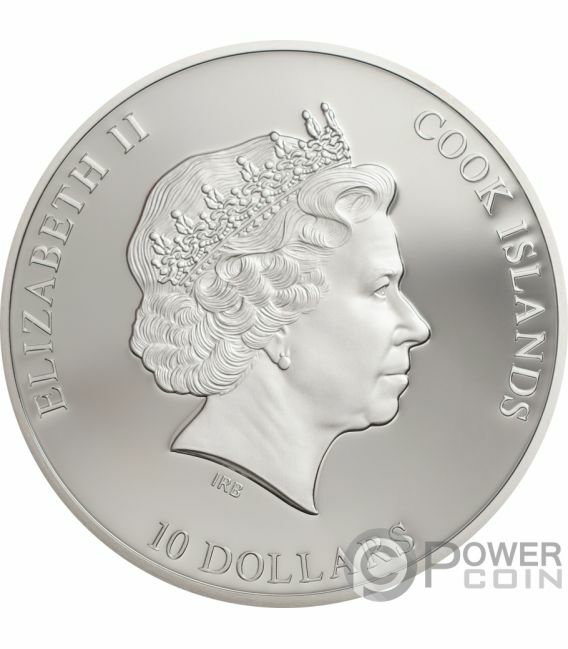 The obverse of the coin depicts the effigy of Her Majesty Queen Elizabeth II and the inscriptions: “ELIZABETH II” – the name of the Queen, “10 DOLLARS” – the face value and “COOK ISLANDS” – the issue country.